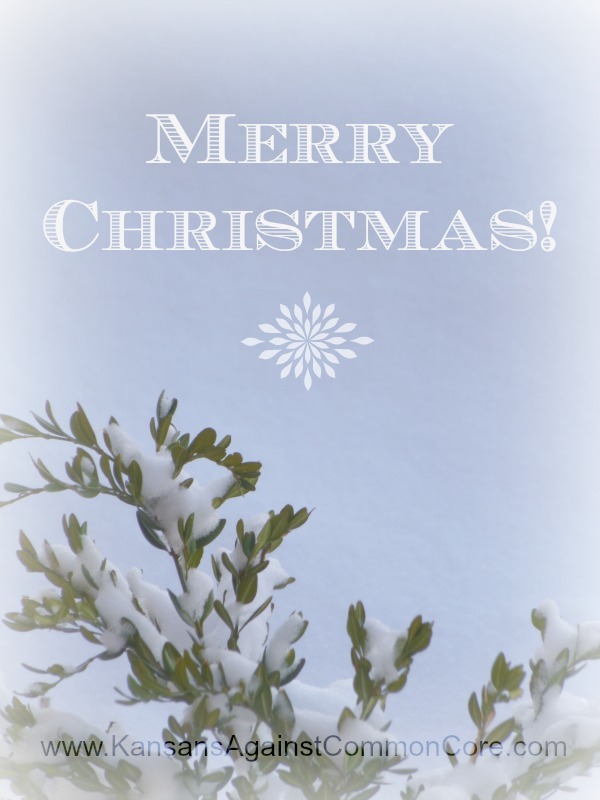 We hope you all enjoyed a wonderful Christmas! Only two weeks until the start of the next legislative session on January 13th, 2014. We need every concerned Kansan to help spread the truth about Common Core and participate in the effort to restore local education in Kansas. This week we want you to LEARN & SHARE about Common Core! We are often contacted by people who are opposed to Common Core, but say they are not comfortable discussing it with others. That is very easy to understand! The entire package of Common Core is very complicated and can seem overwhelming. That is why this week we want to provide you with some great links for information – basic to very in-depth. Please take time to learn more about Common Core. 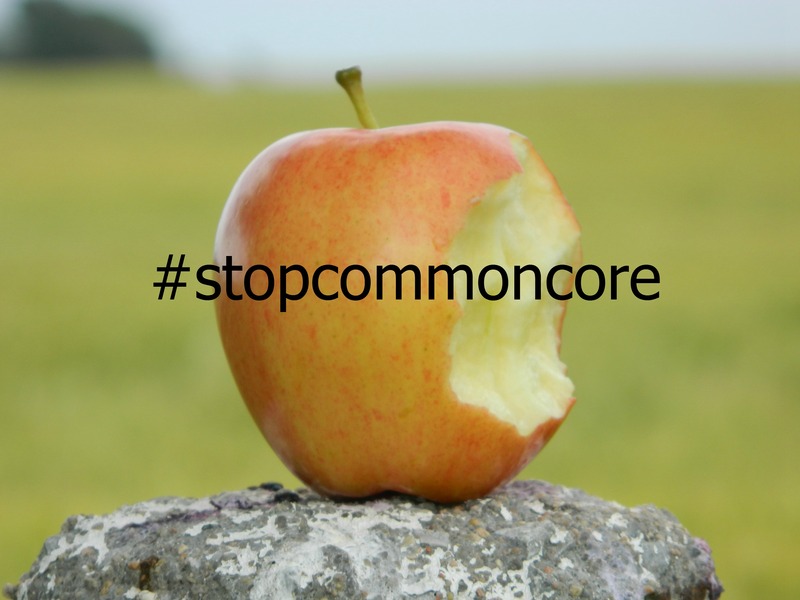 After you spend time doing your own research about Common Core, share with friends and family. Many people have still not heard about Common Core, and it is so important to share the truth and make them aware of the changes happening in education. Jason Zimba on What is College and Career Ready? Call to Action – Week 3: Merry Christmas! We wish you all a wonderful week! Things will be pretty quiet on our facebook page and website this week as we take time to focus on our own families, faith, and Christmas celebrations. We will do our best to return emails and phones calls as promptly as possible, but that may not be until next week. We need you to start planning your road trip to Topeka NOW! Put down the wrapping paper and the Christmas cards, and get out your January 2014 calendar. and we need every Kansan opposed to Common Core to be there too! We know how difficult it can be to take a day and make a trip to Topeka – especially for our friends out west – but nothing speaks to legislators, like having concerned Kansans walking around the Capitol, and stopping by offices. We are asking you to take just one day out of your schedule to make a difference. If you can two or three days – even better! Please help us make our voices heard! We will also be sending out information with additional details, including directions and a simple guide to make stopping by to visit with your legislators, leadership, and education committee members as easy as possible. Look at your calendar, and then let us know when we can expect to see you at the Capitol. Are you a group leader, active in an organization, or do you have a large contact list of friends and family? Welcome to Week 2 of our Call to Action series! We are posting a new Call to Action each week, until the start of the next legislative session on January 13, 2014. There is not much time! We need every concerned Kansan to help spread the truth about Common Core and participate in the effort to restore local education in Kansas. This week we need as many signatures as possible!!! The signed petition will be presented to legislators, the Governor’s office, and others during the upcoming legislative session. Help us get even more signatures by PRINTING & SHARING! Take copies with you to the grocery store, play dates, lunch with friends, etc. We reject the Federal Government’s intrusion into our education system and want control over what is taught in our classroom returned to our state and local school boards. 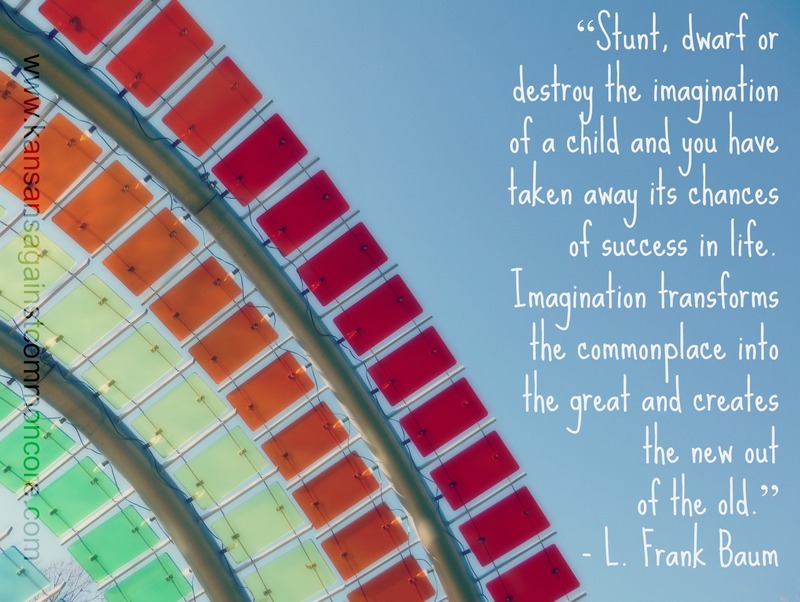 • Common Core removes control of our state k-12 education standards from Kansas and puts it in the hands of private trade organizations who wrote and copyrighted the standards and who are not accountable to the public which pays for their implementation. • It allows the federal government to dictate the terms of our teacher evaluations. • It makes it practically impossible for local school districts to control their costs because independent consortia develop assessment tools which our districts must use. These on-line assessments are not only many times more expensive than our existing tests, they are a technical impossibility for many schools in our state who do not have broadband access to the internet. • Common Core Standards are not internationally benchmarked as marketed, nor have they been tested and found to be superior to existing state standards. They have never been tried before. Their implementation in 45 states amounts to a massive pilot program that uses our children as test subjects. • Common Core assessments ramp up the collection of personally identifiable data on our children. Through various agreements this data will be sent directly to the US Department of Education who has changed the Family Education Rights Privacy Act (FERPA) to allow this data to be shared with other government agencies and third parties without our knowledge or consent. Thank you for taking time to make a difference! Please share with other concerned Kansans. Did it just sound good? People who have strong reasons to vote do, and turnout often determines elections. Getting passionate people to vote is half the point of a campaign. The Common Core moms have a reason to vote, and boy, do they have a lot of friends. So there is an admission from an employee from the Center of College and Career Readiness that CCSS does not address the needs of special needs students. Where is the protection for these children under IDEA? How can teachers be held accountable to teach these students under CCSS when there is no adaptation available? Not only is adaptation not allowed, the children don’t even have textbooks. Pundits, education bureaucrats, and policy makers rejoice! It’s PISA time once again. Cue the dark music, fear mongering, worn out slogans and dogma about the United States education system failing the country economically. Sprinkle in “global competitiveness” throughout your press release, gush over how well those non-creative, authoritarian Asian countries performed, push your market oriented, anti-local control reforms, and presto, you are ready for prime-time education-reformer status. It seems as if America is suffering from a severe case of PISA envy. But what do the vendors of PISA say about PISA? Such “lessons” now bear the logo of the Common Core, the educational regimen that we are told is the yellow brick road to “college and career readiness in a twenty-first-century global economy.” Yet since the Common Core has come under a lot of pressure of late, its advocates are claiming that it is only a “set of standards” and does not dictate curriculum. “Don’t mind us. We’re just innocent little standards (and test) makers who want to bring much-needed rigor to the schools.” Rubbish. The first red flag was that he doesn’t support “what Common Core has become” meaning he supported it in its original form. This is an inadequate response because it doesn’t recognize problems inherent with the standards themselves regardless of what curriculum publishers and the Federal government has done. This is a must see video from a brilliant Knoxville Tennessee student who lays out all that is wrong with Common Core’s basic philosophy and our now insane focus on standardized test results. NEA Today published an article claiming that 75 percent of their members supported Common Core Standards. Insulted and betrayed by their union, more than 200 teachers immediately reported that they had not been surveyed and that they knew of no teachers in their schools who supported Common Core Standards. Others implied that the union knew that the majority of teachers hated Common Core and that the union refused to represent those teachers. If you missed Week 1, please visit here for details. Start planning to meet us in Topeka for a Day at the Capitol! Take time to participate and make a difference! if we really want to make a change. Did Kansas really get out of Smarter Balanced yesterday? It takes quite a bit of prodding to get CETE to admit it, but in the past they contracted out the writing of test questions to a third party. From 2006 until last year the vast majority of test questions (all but pilot questions that did not count in the score) were written by a California based company called West Ed. CETE put the questions into computer form and ran the computer system, but did not create the test questions. WestEd is honored to serve as the Project Management Partner for the multi-state Smarter Balanced Assessment Consortium (Smarter Balanced) — the first collaboration of its kind building a common assessment system among a majority of states. WestEd was the prime contractor developing all elementary, middle school, and high school assessment items for the state of Kansas assessment program. Will KU CETE be partnering with WestEd for future Kansas assessments? Is Indiana’s withdrawal from PARCC for real or for show? In case you missed it… THIS happened at the KS State Board of Education meeting yesterday in Topeka! Kansas withdrew Tuesday from a federally funded, state-led initiative to develop tests aligned to the controversial Common Core mathematics and English standards, choosing instead to commission the tests from The University of Kansas. After hours of in-depth discussion, the Kansas State Board of Education voted 8-2 to walk away from a years-long effort that Kansas played a lead role in — the Smarter Balanced state consortium that is developing Common Core tests with a federal Race to the Top Grant. 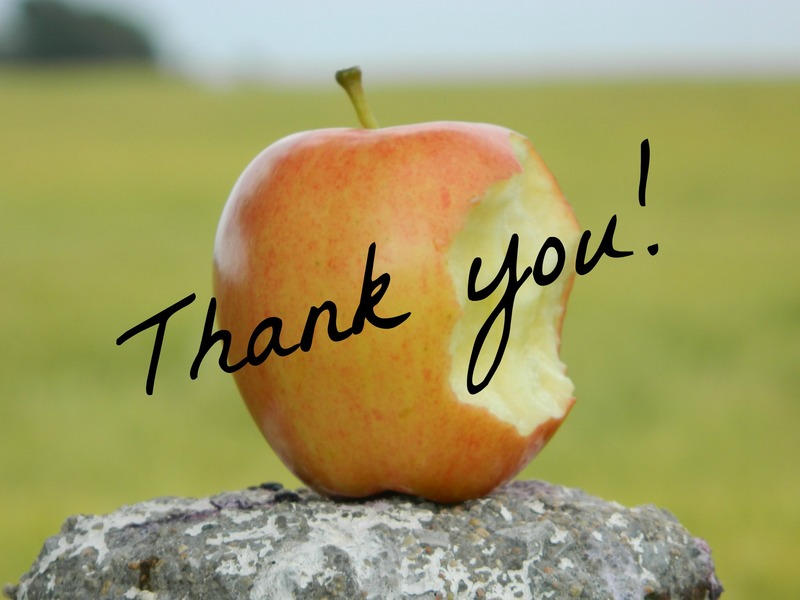 Please take a few minutes to send a THANK YOU to the KS State BOE members (emails below) who supported Kansas assessments through the KU CETE, and voted against SBAC at yesterday’s meeting. We sincerely appreciate them taking the time to research this very important issue, and vote in favor of Kansas assessments from KU CETE. There were actually two votes yesterday. Here are the results and the email addresses for the SBOE members. Additional contact information can be found here: http://www.ksde.org/Default.aspx?tabid=54. 1st Vote MOTION: Mrs. Sally Cauble moves to accept SBAC for grades 3-8 and flexibility for high school level. 2nd Vote MOTION: Mr. Kenneth Willard moves that KS adopt tests designed by KU’s CETE for grades 3-8, with flexibility for high school. Topeka — The Kansas State Board of Education voted unanimously today to approve new standards for handwriting, including a statement that the board “expects” schools to ensure that all students can write legibly in cursive and be able to read material written in cursive. John Boesen, a handwriting analyst from Salina, told the state board today that learning to write helps develop cognitive and motor skills, and that it is still an important form of communication. “The pen is mightier than the keyboard,” Boesen said. And a big THANK YOU to every person who has taken time to research the facts, attend a State BOE meeting, speak at a State BOE meeting, contact the State BOE members, and share the information with friends and family. We can make a difference…. 3 minutes at a time!